On the occasion of 120th anniversary of the Ukrainian immigration to Canada I find it very fitting to share a story about the family trunk that I told several years ago that keeps resonating with many of our Ukrainian Catholic faithful each time I have an opportunity to tell it. Let’s go back to the start of their journey, back to the land of our ancestors, Ukraine or “the Austro-Hungarian Empire” as it was known at that time. Imagine that the difficult decision was made to go to “Kanada”, to leave all that was known to them, their livelihoods, their family and friends, and all of their possessions, except for all that they could put into that one trunk. That one large trunk was to transport all that they needed to start a new life, a new life in a place that they had only heard of or read about on an advertisement. A place that they new little about except that it promised good land and opportunity for those willing to work hard. It was this promise that promised more than they had in their beloved villages and homeland. But what would they take on their journey? What would they take to start a new life in a place on the other side of the world that they knew nothing about? How terrifying it must have been for all of them. Could you imagine what this must have felt like, not knowing exactly where you are going or if you will even survive the journey? What faith that must have taken. We know from historical records that they packed their trunks with that which they valued and that which they would need in the new world of “Kanada”. I have divided the trunk’s contents into three categories. One: they brought those things that they needed to survive. Things such as kitchen utensils, tools, dried food for the journey, and they also brought seeds with them, seeds for vegetables and herbs, and seeds for crops such as wheat which took well to the Canadian prairies. The second category are the cultural items that they brought with them, these are the things that they were proud of, the things that they identified with that brought them much happiness even in the most difficult and dire of circumstances. These items included their intricate and beautifully embroidered blouses and rushnyky (towels) which Ukrainians up to present times identify themselves with. They also brought with themselves musical instruments, such as a violin or a tsymbaly. It was these instruments which continued the tradition of Ukrainian music and song in the new world. Music has always been a very an important part of Ukrainian community life regardless of where they settled in Canada. And finally the third category, and the most important category of all, is the religious items which they packed so lovingly into their trunks; the ikony, holy pictures, the family bible, candles, crosses, and a small jar of holy water to protect them on this journey. Of all of the three categories it was the third, the religious category that was the most significant to them. Why? Why would the religious items be so valued as compared the practical items in the trunk? Well it is because they knew that people must eat in “Kanada”, so there must be utensils and food. They knew that “Kanada” had good black soil “chorna zemlya”, so there must be implements or tools already there for agriculture. The thing they did not know was will things of our faith be there already? Would things that we hold dear to us like our ikony, be already there for us? This is why every family trunk carried their highly valued items of faith with them, and it is from those various items of faith, those early seeds of faith that these pioneers brought with them that the iconic domes of our Ukrainian Catholic churches began to appear across the Canadian prairie landscape. It was because of their efforts to plant their seeds of faith in this new land of Canada that we reap the great harvest of having the Ukrainian Catholic Church available to administer to our spiritual needs today. 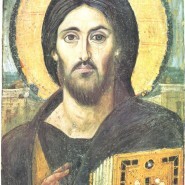 That is the great legacy of Ukrainian culture and faith that they have left to all of us. Well you might be saying to yourself now “That’s a nice story Deacon Jim, trunk… journey… legacy…but so what?” What does it mean to me? Well it means that it is time for us to all realize that a legacy is a gift, it is something that lives on, it is not static but dynamic and ever changing, but yet staying true to its origin. The trunk and all that it contained was a gift to us, a gift for a better life. A life full of opportunities and freedoms that we so often take for granted. What have we done with that gift? Have we valued the gifts they gave us or have we thrown them away? The beautiful embroidery that perhaps Baba left you, do you have it on display in your home or do you have it stashed away at the bottom of a draw, since you want to be “Canadian.” The language of your ancestors, have you even attempted to learn it and encourage your children to learn it, or are you embarrassed to speak Ukrainian, English is good enough. The faith that gave our Babas and Didos the courage to make the journey to Canada for a better life, the faith that built our churches in Canada, is it the faith that our children and grandchildren still practice or is any denomination good enough? Now 120 years have passed since the first Ukrainians immigrated to Canada, with all of their dreams and aspirations for a better life in Canada for themselves and for all of us. Their legacy has been handed down to us to continue, but now we too must add to that legacy for the generations that are to follow us. What have you passed on to your children and grandchildren? Have you taught them to be proud and active in their Ukrainian Catholic faith or has faith fallen on the back burner? It is time to ponder about what we value, since all of us are leaving a legacy to our children and grandchildren. Will it be a legacy of attending hockey games on Sunday morning to support your grandchildren and encouraging them to seek fun and entertainment or will it be a legacy of attending Sunday Divine Liturgies together as a family and teaching them the road that leads to salvation and eternal life? Will the last time that your children and grandchildren attend a Ukrainian Catholic Church be the day of your funeral? Don’t let this be your legacy! There is still time, think about it: What will your legacy be? Deacon Jim Nakonechny is married and has a one year old son. 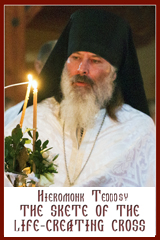 He currently serves in the Eparchy of Edmonton. Deacon Jim works as a Senior Restoration Officer at the Ukrainian Cultural Heritage Village and is proud of his efforts to continue the Ukrainian Catholic faith of his ancestors, while preserving the architectural and cultural heritage of our early Ukrainian pioneers in Canada.